Paul Benzaquin brought the skills of a veteran print journalist to radio and TV. For over 30 years he was a talk host on WEEI, WBZ, WITS, WHDH and WRKO. He pioneered the idea of broadcast journalism, delivered pungent on-air commentaries, conducted probing interviews, and enlightened his audience with cogent analyses of the issues of the day. 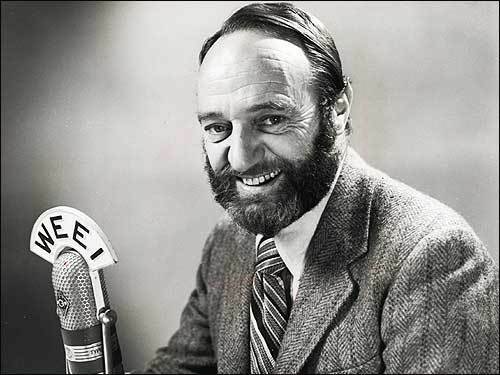 He was one of the original radio provocateurs – always fair, but with flair! Paul Benzaquin was born and raised in Quincy, Massachusetts. He began his media career in 1948 as a reporter and columnist for the Boston Globe. In 1959 Benzaquin wrote the bestselling book “Holocaust,” which was also serializwed in the paper. It still stands as the definitive history of the 1942 fire that destroyed Boston’s Cocoanut Grove nightclub. In his columns for the Globe, Benzaquin was a stellar example of the journalist-at-large, commenting on everything from politics to the arts to everyday life. By turns, his pieces were biting, witty, tough, and sentimental. In 1960 he moved to radio, co-hosting an afternoon drive talk show on WEEI/590 with Howard Nelson called “Listen!” Benzaquin contributed interviews, “columns of the air” under the title “Fiery Diary,” and daily commentaries. To describe what he brought to radio, WEEI Program Director Ken Ovenden coined the term “broadcast journalism” and Benzaquin was the first to use the term on the air. In 1963 WEEI changed the afternoon show to a phone-in talk show called Conversation Piece with Benzaquin as the host. He also wrote columns for the Boston Herald during this time. In June 1968, he achieved the dubious distinction of being one of the first hosts to be suspended by a broadcast employer for using a four-letter word as a comment on a caller’s opinions; the word got on the air when a WEEI engineer failed to activate the station’s delay system in time. In late 1969 Benzaquin moved to Chicago to host a midnight interview show on WLS-TV, but returned to Boston a year later. In 1971 WNAC-TV Channel 7 gave him a weekday morning show from 9–10AM. After he got off the air on TV each morning he would head from Kenmore Square to the Prudential Center, where he hosted a four-hour telephone talk show on WEEI from noon–4. This continued until April 1974 when WEEI dropped the telephone talk format and switched to all-news. Benzaquin’s TV show continued until July 1975. In 1976 he reappeared on the radio with a nighttime talk show on WBZ for two years, then did fill-in on WITS/1510. He hosted the overnight show on WHDH from 1983-1987, then moved to weekends on WRKO from 1987-89 and again from 1992-93. Paul Benzaquin died in 2013 at the age of 90.